Home > management	> A Democratic Workplace? No Freakin’ Way! A Democratic Workplace? No Freakin’ Way! “We’ll send our sons anywhere in the world to die for democracy,” says Ricardo Semler (CEO of Semco), “but don’t seem to apply the concept to the workplace. This is a tragic error, because people on their own developing their own solutions will develop something different“. In Semler’s own firm, there are no five-year business plans (which he views as wishful thinking), but rather “a rolling rationale about numbers.” A project takes off only if a critical mass of employees decides to get involved. Staff determine when they need a leader, and then choose their own bosses in a process akin to courtship, says Semler, resulting in a corporate turnover rate of 2% over 25 years. Blasphemy! We know what’s best for all the cake eaters in our kingdom because we’re infallible, of course. That couldn’t possibly work here because our business is too different. It’s “not applicable“. I am enjoying your blog. I returned to school due to an unpleasant work encounter with a BM. With hopes to be able to turn a pyramid or two upside down some day. I have been reading about Semco. Seems too good to be true… Or rather. If it’s true why aren’t more places like that? Is it fear? I thought about it quite a bit and I think Semco is more of a petri dish than a team sport. What I mean is it seems to be very much about culture and defining the parameters of the company, and then stepping back.. Instead of the common conception of “company culture” many places which reminds me more of a highschool pep rally. I’m sorry to hear about your unsettling experience in “Egypt”. I think you answered your own question about why there aren’t more Semcos. Patriarchs are afraid of losing power and thus, they’ll do anything to keep themselves and their hand picked cronies in power – including letting the institution they’re charged with leading go down the tubes. Thanks for stopping by and I’m glad you’re liking the blog. Fear of losing power yes. And fear of losing money/job. This is a realistic fear. Richard Semler is a rich man due to his willingness to let go. But he got deathly ill before he started thinking seriously about it. His perspective was different from that of management – as majority owner with a direct stake in how well the company did. 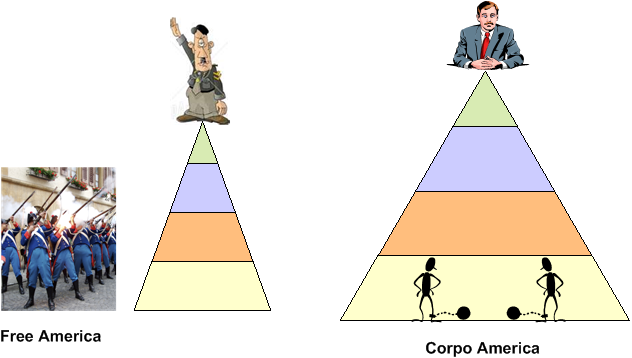 He fired 40% of the top executives and later the majority of middle management – or moved them to production jobs.If I were a BM with no marketable skills I would be afraid of a round pyramid. Yepp, you’re right. Most people, including me if I had the power, aren’t willing to make the kind of personal sacrifices and excruciatingly hard decisions that would transform the workplace into a joyful community. Thank God there are some though.